If you have set some fitness goals for your New Year’s resolutions, if you are sporty anyway or if you are just interested in health generally, this article about protein might be right up your alley. This time we will be looking at how much protein we all need. It’s a pretty common belief that protein is the key to gaining muscle. Whist protein is clearly important this claim makes me say ‘hmmm’… mainly because nutrients act in synergy together, so it will never be just ONE nutrient that is the key to anything. Moving away from that, protein IS important for athletes (and everyone else for that matter), it is involved in muscle growth and repair, it is a component of enzymes which enable reactions within your body and hormones which regulate important functions, and it is a crucial building block of your whole body. 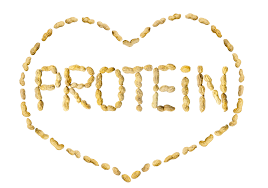 Knowing how much protein we need can be confusing, the guidance for the general population is 0.75g per kg of bodyweight in adults. That doesn’t overly clarify things so here is a simple table to show how much you need based upon your weight. Does that seem like a tiny amount? That’s because that is pure protein, which isn’t what is found in our food – you can’t simply have 60g of chicken breast and call it quits, so now I am going to be super helpful and tell you how much actual food will get you this! Because I am writing this for a fish shop, I am obviously going to tell you how much fish you need. Now that might suddenly seem like a lot! But fear not – you don’t need to get all your protein for the day in one blast, if you are eating a healthy diet then you are more than likely getting protein throughout the day. In general, you want your protein source to take up 1/3 of your plate.